SACRAMENTO, CA – November 4, 2018 – Archival Gallery is celebrating the spirit of Christmas with a group show, Here Comes Santa Claus. Exhibition runs December 4 – 22. Join us for a Second Saturday reception on December 8 at 6PM featuring complimentary refreshments and an opportunity to meet the featured artists. 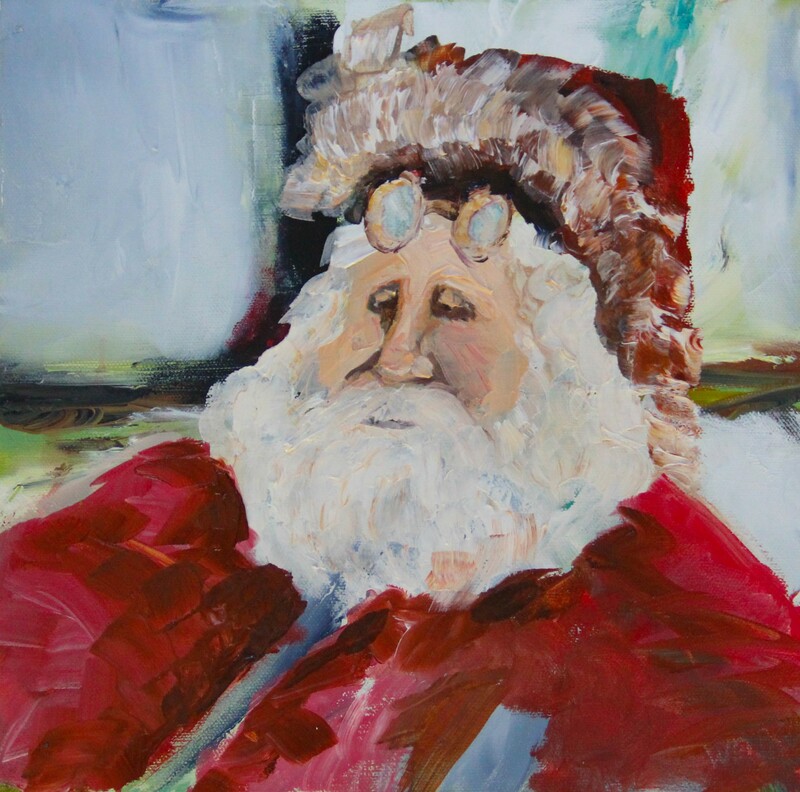 Here Comes Santa Claus features an artist’s interpretation of Father Christmas or a holiday theme, in all mediums. This popular group show also includes a front window-display of vintage Santas, plus an appearance by Father Christmas himself – an annual tradition at Archival Gallery. Featured artists in the collection include: Eric Dahlin, Gary Dinnen, Richard Feese, Maureen Hood, Debra Kreck-Harnish, Mariellen Layne, Corey Okada, Kellie Raines, Victoria Smith, Janet Weidel, Maria Winkler, Don Yost, and more.